Now that it’s confirmed that Celtic will be in the final the likelihood is we’ll get between 18-22.5k tickets. How will Hearts allocated these to supporters? 1 per season ticket holder then set a loyalty points threshold? Also, if I was to purchase a season ticket on 1st May would this include me in the initial sale? Think you’ve answered yer question. STs first then the LP threshold set thereafter. I think your allocation prediction is exactly how it will go. We will get half, or at least, the club should demand half ! I would be very surprised if we don’t push for 50/50 meaning around 22-23k. How the arrangements would be is anyone’s guess but I’d say everyone who wants one, will get one. Also, general sale of STs is 3rd May, mate. It will be a 50/50 split anyway. Absolutely no grounds for it not to be. 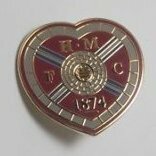 “Supporters of the Tynecastle club will occupy the South, West and North stands of Hampden with fans holding a minimum of 40 loyalty points at the head of the Tynecastle side’s queue. A St this year guarantees you a ticket. Not disagreeing with you OLLB. Just saying AB is a business woman and may see this as a chance to raise the revenue for next year. Maybe not though. I think if you buy a ST before the final the 20lps should count towards the total required for the final. Nice wee incentive for anyone on the fence. Em....that would be 26K tickets if every ST holder took up the offer, mate ! Those deserving of a ticket will get one easily. Those who haven’t been to see hearts for 4/5 years will rightly struggle. Just as well they never all took it up for the semi then! Why should we settle for anything less than 50/50. We know the demand will be their. I should be ok with my 1 LP, if I need a ticket. A weight off my mind in all honesty. I bought a season ticket for this season. This should include priotity for cup games. Next seasons tickets are for next season. Should be season ticket holders and those with over 40 or so loyalty points first, then those with over 20 or so before opening it up to those with a purchase history. They can allocate a Cup Final ticket to all of those who have had a season ticket this current season and all of those who have bought for next season and still have thousands left for high loyalty points holders. How many dirty sevco fans will get tickets to bolster our ever growing tea towel brigade? If its like murrayfield in the league cup I predict some embarassing scenes for real Hearts fans. Correct but it will not stop some drama queens (or kings to be politically correct) coming on this board to plead their own case if they are not guaranteed a ticket. Totally agree. We shouldn’t be using the cup final to push ST sales for next season. Every season ticket holder has at least 40 points if they have had one for last season and this season. Think it should be current season ticket holders, then loyalty points over say 50/60 then 2019/20 season ticketholders. . It'll be a 50/50 split. As was Murrayfield. I would also worry about Mhank interlopers in our end. Someone going to every away game and racking up loads of loyalty points provides no financial benefit to Hearts. Someone buying a season ticket for 2019/20 season provides hundreds of pounds in revenue. Those putting money into the club should get a final ticket. The differential between 2018/19 season ticket holders and 2019/20 season ticket holders will be less than a couple of thousand I would imagine so we will be able to cater to all three categories of supporter. Every football support has a bad element... not sure The Rangers can be made to take credit for ours. There won't be any issues for folk that generally have went to watch Hearts at least a few times over the last two years I don't think. We've what 13k season ticket holders this year? The majority of them will probably renew with those that don't likely being replaced with new folk I'd say we'll be close to 13k again, giving a total of maybe 15-16k distinct people with season tickets this year and next? Still leaves around 5k for those without a season ticket. I think it'll get down to those with a purchase history tbh. Though the club might want to consider limiting it to those with a purchase history prior to the semi as there might be some Celtic fans purchasing a ticket for one of the next two home games to get on the database. It will be STs first, then loyalty point threshold releases up to a general sale. With 13.5k season tickets plus others with loyalty points from away games, its not going to leave a lot for a general sale. Don’t think it matters, they are big fans. There won’t be many that have high lp’s that don’t have a season ticket but those that do probably also give to FoH. If it’s money that counts, as you seem to think, then those donating most to FoH should have priority, those buying platinum season tickets should have priority over gold, silver and bronze according to your proposal ie Money counts. I think it’s much more about who supports the club the most by attending matches hence current season tickets then loyalty points for me. How many of the 8000 FOH subscribers aren't season ticket holders? A handful of expats would be my guess. Doesn't matter how the club decide to do it. Someone will moan. Claim they are being shafted despite not setting foot in Tynecastle for years. It's always the same. For me, that isn’t a case for a Scottish cup final not being held at the national stadium. We'd have been given 26k tickets nae bother if we'd needed them for the semi.